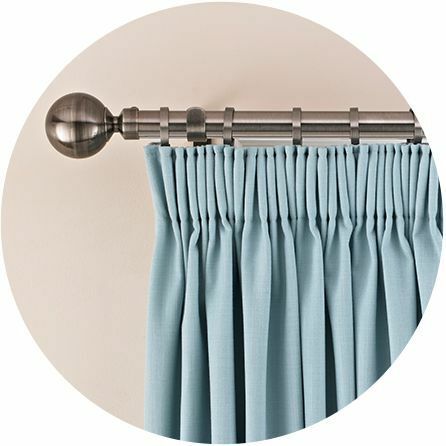 Combining blue and green tones, teal curtains add a rich depth of colour to your interior. Despite being such a strong shade, teal works surprisingly well with a whole range of bold contrasting tones. Give your home a Mediterranean feel by combining vibrant teal curtains with hot pinks, sunny yellows and vibrant blue shades. Or for an on-trend tribal look, combine deep teal curtains with burnished red and umber tones. As well as a superb range of fully-lined plain, textured and patterned teal curtains to choose from, you can also select optional thermal or blackout linings, a choice of header types, curtain poles and finials, tie-backs and complementary cushion covers. During your in-home appointment, your advisor can even show you exactly how each fabric will look at your own window, using our clever visualisation tool. You can arrange your in-home appointment for a time that suits you, including evenings and weekends. An expert advisor will bring our entire range for you to browse at home, and will take exact measurements of your windows. 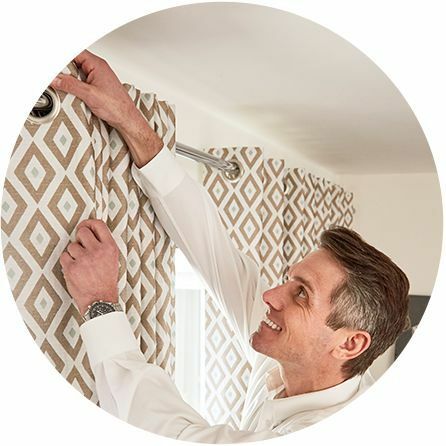 When you’ve placed your order with us, we’ll return to professionally fit your beautiful curtains, all as part of our service.